To the humble man, and to the humble man alone, the sun is really a sun; to the humble man, and to the humble man alone, the sea is really a sea. 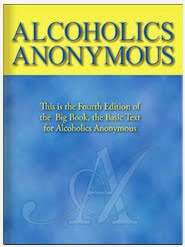 Before I started recovery, lack of clarity was all around me and within me. There was too much fear. I was unable to acknowledge: This is who I am, and this is what’s going on, no more, and no less. I was afraid to name my husband’s abusive behaviour. I was afraid to name my complicity in it. I was afraid to name who I was and what I wanted and needed, and I was afraid to name the behaviour of those around me who wanted me to fit into their mould. My husband was scared silly that one day the world would find out that we weren’t the perfect family. So I was not humble. I kept nurturing the fog that covered what was really going on. And boy, was I good at it. I kind of had an inkling that something wasn’t right, so, semi-consciously, I made sure that my denial was watertight. I knew that if we pretended that we were a 100% perfect family, there might be suspicions. So I made sure I’d slip in a little problem here and there. At one point, luckily, I allowed the bubble to burst. I started naming things, loud and clear. I named them to the police, I named them to my friends and family, I named them in my poetry. 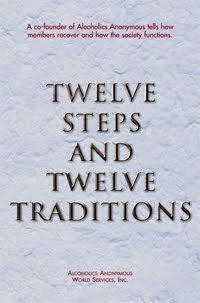 I started playing with another 12-step program. But it took me another twelve years to name that I was an overeater. In those years I gained another 70 pounds (with some yoyo dieting thrown in, of course). Humbly admitting that, yes, really, I was an overeater, was the best thing I’ve done since ridding my family of my abusive spouse. I humbly admitted that I had been abusing myself with my eating behaviours. Now I can see clearly. (I can also see more clearly how wounded my ex spouse is, making it easier for me to work on forgiving him). I accept the gift of humility. I am not afraid anymore to look reality in the eye – and what I see is as right as the sun and the sea.